Dave's been busy - Moruya Antique Tractor & Machinery Assoc. Inc.
Dave Hartwig, AKA Mr. Cooper, has been busy these past few months. The photos below show engines that have appeared in his shed since I was there last and every one of them has been restored and worked over by Dave. 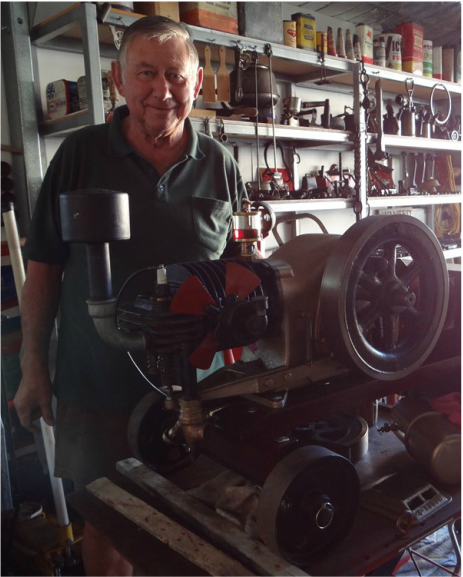 Dave with his current project, a little 1hp "Ideal"
Our club is very fortunate to have this man and his skills as a member. What makes it even better is that he's a really great bloke.